Philadelphia Police have arrested a man for sneaking onto Center City rooftops. 39-year-old Michael Zallie has been charged with burglary, trespass, and criminal mischief. 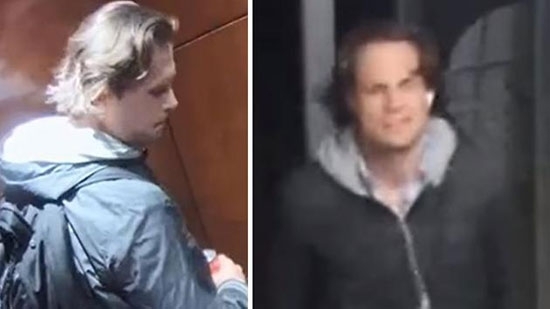 Police released surveillance video from three different incidents in the last month where he was caught gaining entry to the roofs of two Center City buildings. On September 25th and 27th, he was seen in the Sonesta Hotel at 1800 Market Street. On October 16th, Zallie got to the roof of the Dorchester condominiums at 226 West Rittenhouse Square. Once on the roofs of these buildings he took pictures and then fled. Zallie posted his photos to Instagram under the name @zallie_1977. A toddler was injured in a shooting in North Philadelphia on Saturday afternoon. It happened around 3 p.m. on the 3600 block of North 18th Street. The 3-year-old was shot in the forehead. The child was taken to Temple University Hospital and is in critical condition. No details about what led up to the shooting have been released. So far there have been no arrests. UPDATE: The 3-year-old boy remains in critical condition. Police now believe that he was shot by his 6-year-old brother inside a 2nd floor bedroom. The two were home alone with another 12-year-old brother. The 6-year-old somehow got a hold of the weapon and shot his younger brother. The parents were not home at the time. It is not known where they were or how the children got access to the weapon. UPDATE: The children's father, 36-year-old Sirhaven Williams, has been charged with endangering the welfare of a child, although, police said the gun belonged to the children's uncle who also lived at the home. Police have arrested a man wanted in connection to a number of armed robberies in the Fairmount neighborhood of Philadelphia. The rash of robberies started on Sunday evening at 8 p.m. on the 2200 block of Brown Steet. Another happened just an hour later on the 2500 block of Poplar Street. Two more robberies happened just after midnight Tuesday on the 800 block of 25th and 27th streets. Last night, a fifth robbery occurred on Beach Wood Street. Police were able to catch the suspect. They believe he is connected to the previous four incidents. The suspect has not yet been identified.